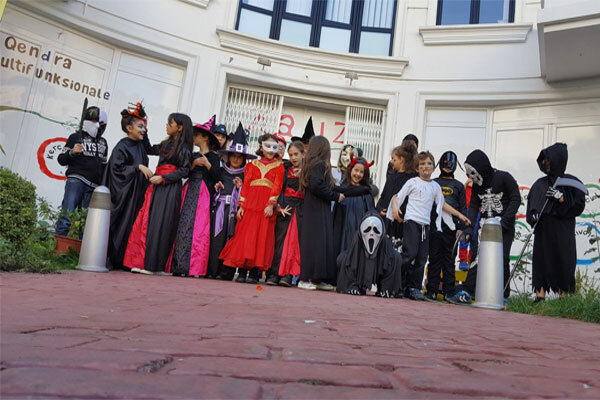 Join with your children to Celebrate Halloween on Saturday, October 27th, at 17:30 o'clock for an unforgettable party in KALLZ. The activity lasts an hour and a half. The games, dancing, food and the picture angle await you for Fest "BOO!". This year, we expect you to enter the square with the entrance. 1000 l tickets for each child (700 lek) for the children of the Center. For children who have been in the program After School or Summer Camp, the transport is provided free of charge if necessary by the parents. For organizing reasons, please book by October 25th. Children under the age of 5 can be accompanied by their mom during the event.